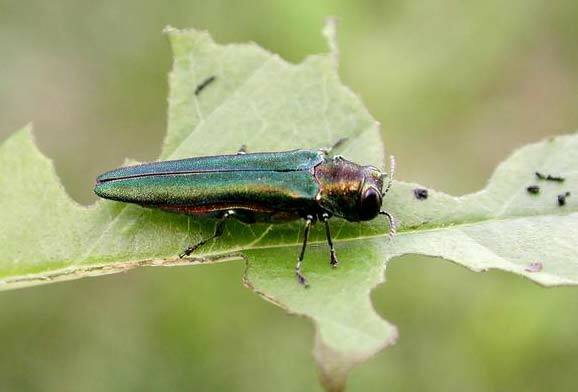 What is an Emerald Ash Borer (EAB)? 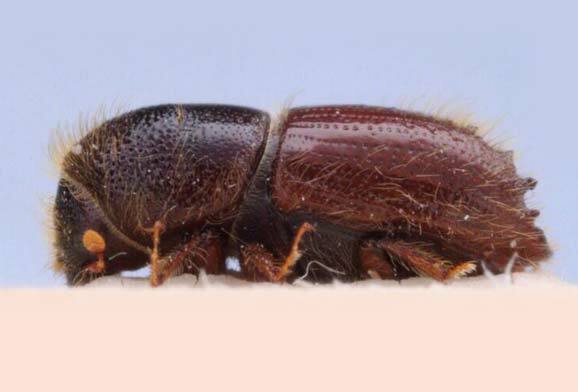 Mountain Pine Beetles (MPB) are killing trees (Pines and Spruce) through the Rocky Mountain Region and the Western United Stated at an extraordinary rate. MPB typically complete their life cycles in two years, but warmer temperatures are allowing life cycles to be completed in one year. Rising temperatures are also allowing beetles to survive the winter. The large amounts of dead trees resulting from this epidemic are creating severe fire hazards. Stressed Pine trees with diminishing growth habits, whether due to drought, crowding, maturity or some other natural cause are more likely to be attacked by the MPB. If you notice popcorn-shaped masses of resin, often referred to as “pitch tubes” on the trunk of your tree, the beetles have begun tunneling. If the foliage is turning yellow or reddish through the entire tree crown, your tree may have been attacked by MPB. Once your tree has been infested with MPB, not much can be done to save the tree. With the current conditions, enough beetles can emerge from an infected tree to kill at least two, maybe more, trees the following year. The MPB infestation cannot be stopped. Creating diversity (both age and structure) will result in a healthier forest that will be more resilient and less vulnerable to MPB. Contact a local forester or ISA Certified Arborist to discuss options and the best forest management practices. The Mountain Pine Beetle infestation is continuing to increase across Colorado and into parts of Wyoming with over 1 Million acres currently being affected by this epidemic. The MPB is a native to the forests within the Western parts of North America and when outbreaks occur it can result in the loss of millions of trees. Beetle-killed trees can negatively affect things such as watersheds, wildlife habitats, transmission lines, scenic views, recreation sites and timber production, but it also presents the opportunity for fuels to build-up that could potentially cause disastrous forest fires. If you suspect MPB has infested trees on your property, contact Splintered Forest today at 303-819-9840 to setup a free consultation. 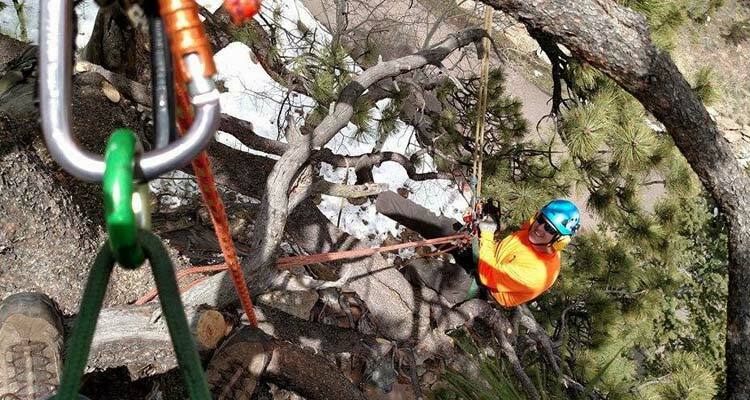 Our ISA Certified Arborists will create an individualized plan to assist with your MPB problem. 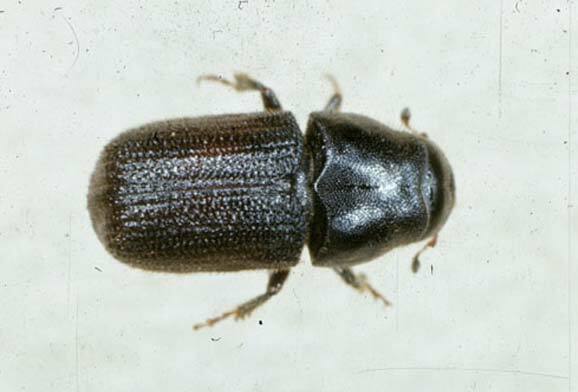 The Spruce Beetle is a native species in the spruce forest ecosystem in Colorado and is responsible for the death of more spruce trees in North American than any other natural agent. Their populations can range from Alaska and Newfoundland and South to Arizona and New Mexico. In Colorado, they are typically observed in spruce forests at higher elevations (above 9,000 feet). They tend to infest downed and large, mature trees (16 inches in diameter or more) when the populations are low, but when they reach epidemic levels, they may attack standing and smaller trees. One of the most effective ways of mitigating a threat of a spruce beetle outbreak is to manage the overall health of your forest. Creating both age and species diversity will help support the forest health and reduce the impacts of a future attack. Removing downed spruce can also help maintain beetle popluations.